Abnormal fat distribution – this can occur in obese and even horses of a normal weight. Abnormal fat distribution primarily occurs at the crest – you may have heard your vet talk about a cresty neck. It can also occur at the shoulders, base of the tail, around the mammary glands in mares and around the sheath in geldings. It is important to look out for these in your own horse. It is more common in young to middle aged native breed ponies, especially known ‘good-doers’. It is commonly picked up on in the Spring as the sugar levels in the grass are high. This results in high levels of circulating blood sugar and therefore high levels of blood insulin, which in turn can trigger laminitis. High blood sugars can cause insulin resistance which then means the blood sugars and insulin levels remain high! So although the primary cause differs between Cushing’s and EMS, both cause laminitis by a high blood sugars and high levels of insulin in the blood. In a horse or pony with EMS and no active laminitis, weight loss and exercise are CRUCIAL. Exercise is not advised in a pony with laminitis as box rest is needed to stabilise the foot. 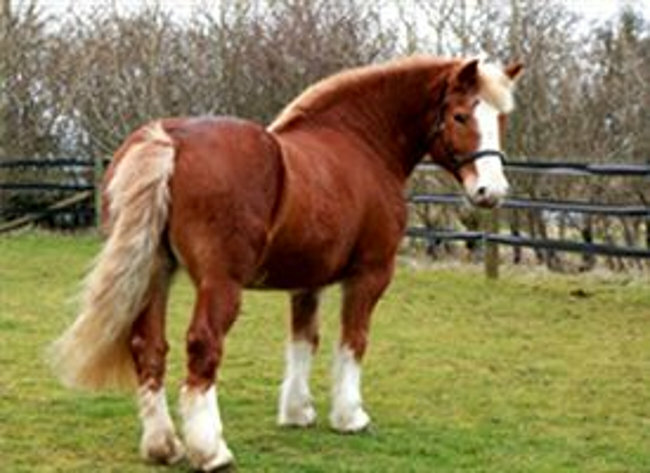 Weight loss however remains an essential aspect of controlling laminitis with EMS involvement. Each horse is different and your vet will devise a tailored diet and plan for your horse. For a basic idea we tend to start horses on a 1.5% diet of soaked hay (eg a 300kg pony would get 4.5kg soaked hay per day). This may differ slightly between different cases. We advise feeding Winergy Equilibrium which is a low energy vitamin and mineral supplement as soaking the hay removes the vitamins and minerals as well as the sugars. Please talk to your vet if you would like to discuss your horse’s diet. The Blue Cross provide an excellent guide to managing your horse’s weight: https://www.bluecross.org.uk/sites/default/files/downloads/fat-horse-slim.pdf Why not print a few off and have them in your tack room? It is very important to try and PREVENT this disease by managing your horse’s weight. We recommend weigh taping your horse every two weeks and keeping a record of this. Regular exercise is important not only for weight loss but regular exercise also increases insulin sensitivity, and has a knock on hormonal effect which may help reduce the chances problems occurring in your horse. 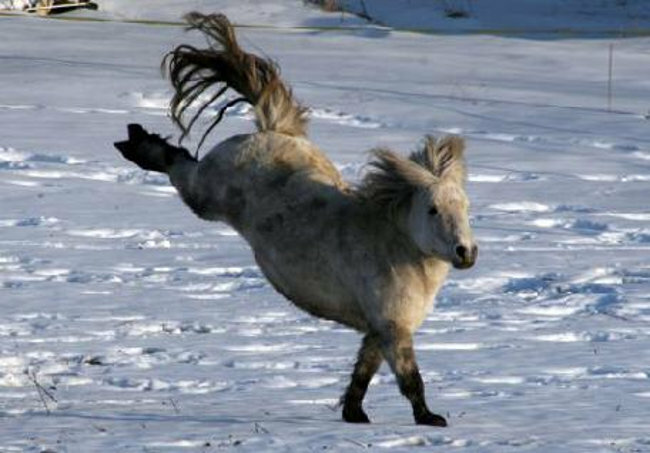 In the wild horses naturally lose weight in the winter during the colder months. They do this by using their excess fat to keep them warm. Over-rugging a horse can prevent this natural cycle. We suggest you chat to your vet about your rugging and exercise habits to try and keep your horse as healthy as possible. An excellent source of information for EMS is the Talk About Laminitis website. Some horses can be affected by both EMS and PPID so please refer to our advice sheet on PPID for more information.